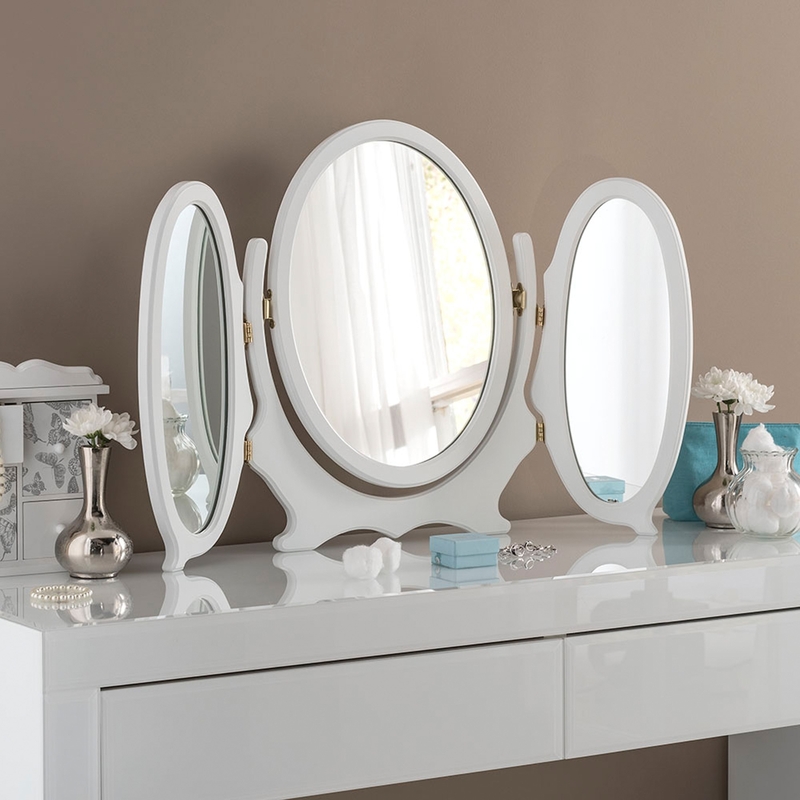 Achieve that gorgeous look you have always been wanting with this new stunning triple vanity / table mirror. Get the luxurious look you have always been waiting for with this outstanding, glorious triple table mirror. Very stylish and also beautifully made. With a white surrounding edge to give to give you that pretty look. This mirror would go perfectly with any French Styled Furniture to give your room that comforting look and feel.